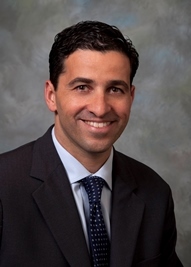 Dr. Gavi entered clinical practice 12 years ago at Harvard Medical School and Brigham and Women’s Hospital, where he completed medical school and his internal medicine residency. He then joined Stanford Medical School and Stanford Hospital as a faculty physician. Dr. Gavi has had hospital leadership roles and has won numerous teaching awards both at Harvard and Stanford. He has served as a consultant to private companies and the California Board of Medicine. While at medical school, Dr. Gavi also attended Harvard Divinity School and obtained a degree in theology. Subsequently, he has led institutional programs in medical ethics and seminars for physicians that promote humanistic care. Dr. Gavi is an advocate for wellness and disease prevention including spiritual, psychological, and physical wellbeing. He is interested in an individualized approach to health care and the importance of lifestyle to a long and active life. Dr. Gavi lives in Menlo Park with his wife, Dr. Daryl Oakes, Stanford faculty cardiac anesthesiologist, and their three sons, Ethan, Gregory, and Joshua. His interests outside of medicine include literature and enjoying the outdoors with his family. For all medical needs please call 650-353-9400. After business hours you will be directed to the answering service who will contact the doctor for you.